Conventional wisdom used to be that renting was as good as throwing money away and buying a home was a wise investment in the future. In 2018, however, varying mortgage rates, cost of living factors and tax loopholes have muddied the waters, making the savvy choice more dependant on specific circumstances and less on general opinion. Since there is no one size fits all answer to this question, here are 5 important things to consider before deciding whether to rent or buy. 1. How Long Do You Plan to Stay in Your Home? The general rule of thumb when purchasing a house is that you should stay in it for at least 5 years in order for it to make the most financial sense, although the exact figure varies based on your location and what a similar home would cost to rent. The first reason to think about this is closing costs. Each time you take out a mortgage, you pay closing costs: these are upfront, non-refundable fees reaching into the thousands of dollars for things such as loan origination, home appraisal, title insurance, surveys, taxes, and credit checks. The second reason is your monthly payments. 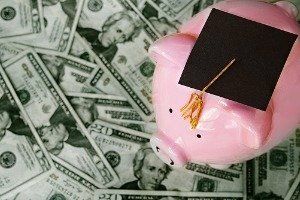 Borrowers typically pay higher interest in the first few years of a mortgage, and therefore it usually takes around five years to have paid down enough of the principal in order for the home purchase to have made sense. Check out LendingTree’s handy mortgage calculator to help you determine if buying a home makes sense. 2. What Are the Mortgage Rates Like? National mortgage rates are linked to the secondary mortgage market and go up and down just like any stock or bond, making it more lucrative to buy when rates go down. Although property prices are currently higher than ever in many parts of the U.S., interest rates are at historic lows – and this helps the case for purchasing. Today, it is common for lenders to offer rates of around 4-4.5% on 15-year or 30-year fixed-rate mortgages. Until 2010, the idea of a mortgage loan being offered for less than 5% would have been unthinkable. Before 2000, it was impossible to find anything under 8%. A better mortgage rate can save you tens of thousands of dollars over the lifetime of your home loan, which is why it pays to comparison shop as much as possible. Online mortgage networks - like Lending Tree and Better Mortgage - have made comparison shopping very easy for potential homeowners. You can apply in minutes, get quotes from multiple lenders and compare rates at a glance. 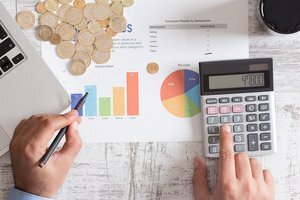 Although federal, state and local property taxes are a necessary part of owning a home, the good news is that such payments have always been tax deductible. Under the federal tax reforms coming into effect in 2018, these deductions are capped at $10,000. Renters can’t deduct rent payments from their federal income tax. However, if their lease requires them to make property tax payments, then those payments are tax-deductible. Homeowners can deduct for things like home owners’ insurance, security, general repairs and maintenance, and utilities. Renters can deduct for utilities and any other relevant costs which they are required to pay under their lease agreement. As with anything tax-related questions, your accountant is the best person to speak to about deductibles. When taking out a mortgage on a new home, the initial cost usually consists of the closing costs and the down payment. The recurring costs consist primarily of the monthly mortgage payment, plus additional property taxes, insurance, and maintenance fees. Both are important, and often overlooked, costs to calculate when considering buying a home. 5. What Does the Future Investment Market Look Like? 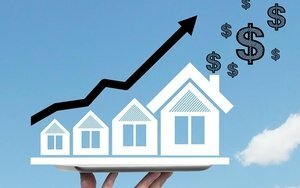 What is the current trend in local, state, and federal property prices? What is the median price for properties in the neighborhood? Are there any major infrastructure or transportation projects happening in the area? So, Should I Rent or Buy? 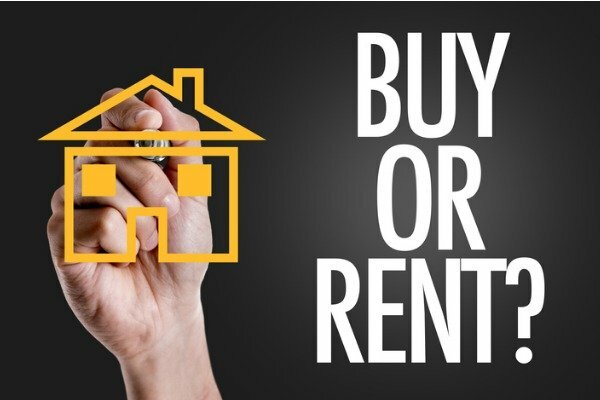 As you can see, the decision of whether to rent or buy revolves around more than just whether or not you can afford to make a down payment on a mortgage. As with any major financial decision, each person will come to a different conclusion based on their own individual financial circumstances. Visit LendingTree for more information on interest rates and terms or to find out what your monthly mortgage payment may look like.